My most recent series of paintings, To Taiwan addresses the Japanese Colonial period in Taipei (1885-1945) through the symbols that represented the opposing sides; including Japan, Taiwan, China, and the United States. The traditional use of stamps to sign one’s name or emboss a country’s emblem onto a map or flag is subverted in this series of paintings as decorative elements, not unlike the repeating patterns of wallpaper, that coexist within a single composition to tell the story of transference of national powers from this period in history. 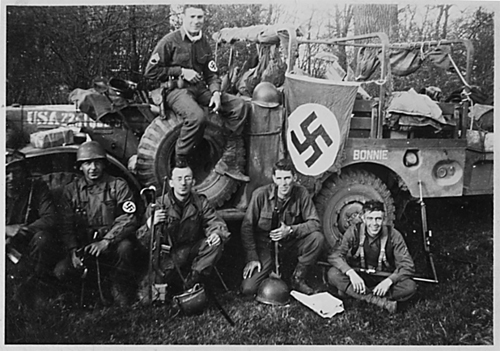 When I was young, I came across a photo that my grandfather took after his platoon captured an opposing German platoon in Holland 1944 during Operation Market Garden. The casual playfulness of the characters in the photo belies the brutality which took place moments before. The act of them cheerfully wearing their enemies' insignia was most likely a way of lessening the weight of their day-to-day lives in combat. Their facial expressions scarcely show a person who is capable of taking another's life and the masquerade seems as if they found the flags and armbands in an old chest nowhere near a battlefield. In my youth, I played war. The men in the photo were playing while at war. I didn't ask many questions about the photos that I found of my grandfather's tour of duty, but my interest in the European theatre of World War II has always been keen. I had family who served in the Pacific War as well, but all inspiring memorabilia has been lost. I studied a bit of the Asia-Pacific aspect of the war, but my interests were chiefly in the unfolding of the war in Europe. Upon moving to Taiwan, my feelings and interests have changed in regards to WW11. 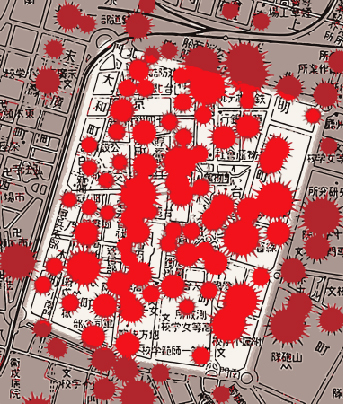 I currently live in a district in Taipei, which is walking distance to the heart of the May '45 bombing of the city. A street necessary for me to walk daily is lined with old stones, which once acted as the wall that defined the very city. The Japanese had dismantled this wall and used a large portion of it to build a sizable prison, which would house Taiwanese citizens opposing their new Japanese government. In addition, this prison would eventually be home to Allied airmen, 14 of whom were sentenced to death on May 29, 1945. 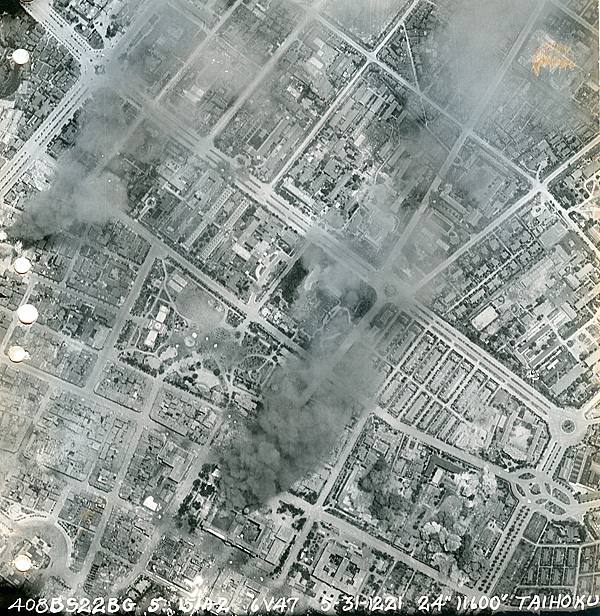 Two days later the Allied bombings would commence causing a great deal of destruction and loss of Taiwanese civilian lives. Not many speak of the past, as the city seems to be fully embracing the future. And why would my emerging interests mean my neighbors should share them as well? In searching for answers in the local history, I found more incidents of flags replacing flags, and emblems covering up the past to dictate a new future. The history here is littered with territorial disputes which keep cartographers busy. My most recent body of work, To Taiwan, is an exploration in the overlaying and juxtaposing of symbols. American flags, the KMT's Blue Sky & White Sun (青天白日旗), and the Mei Hua (梅花) emblems move back and forth, opposing the symbols of Imperial Japan (旭日旗) and the crests of many of its influential families. Reflecting on the past to narrate my paintings, I have made images more focused on the beauty of these designs and creating compositions and new patterns with these borrowed emblems and symbols. 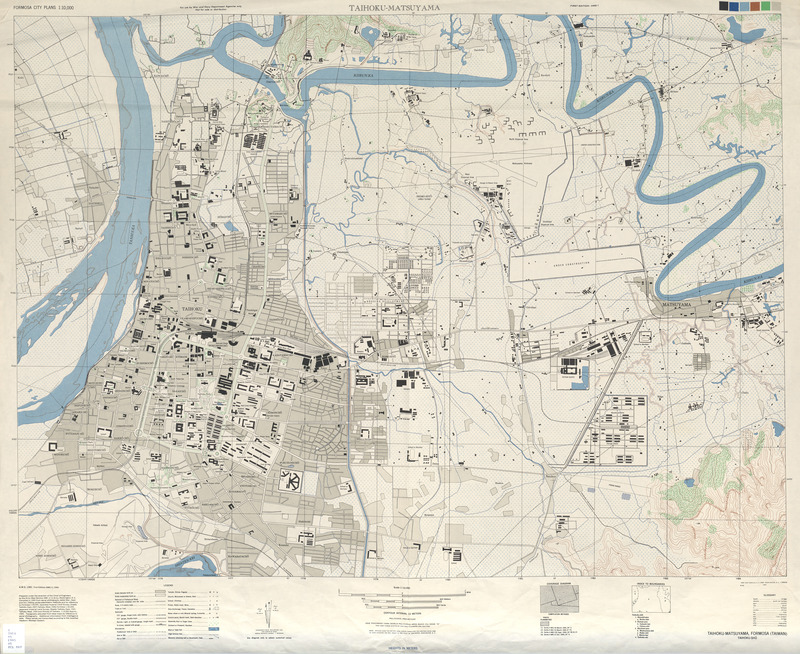 Within the country that raised me, we have maps illustrating the movement of sides during the American Civil War. The flags are moved around the space of map indicating who was in control for those brief moments. My interests in these spaces, unfolding on canvases for me to paint, has surfaced during a time when I no longer live in my native country. My images overlay and juxtapose these borrowed emblems and symbols to embrace the beauty and power of their design to create contemporary abstractions/ compositions and patterns. The feeling that I am inserting myself into the locals' history is put at rest when reviewing historical documents which show the Unites States as a common emblem and presence moved around this local map among the others during and after the events of World War Two. 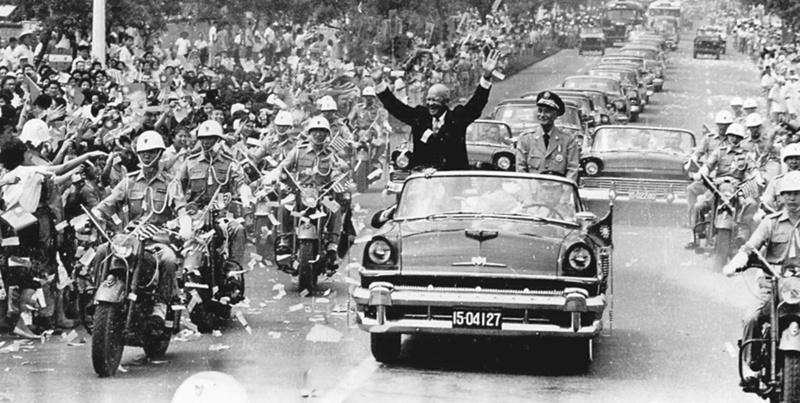 U.S. President Dwight D. Eisenhower, with President Chiăng Kài-shék, waving to crowds during his visit to Taipei, June 1960 during a time known as the White Terror 白色恐怖 1949-1987.